As a nonprofit, there are multiple challenges that you face in your quest for sustained growth and larger impact. The number of nonprofits registered with the IRS has doubled to 1.5 million organizations over the past 15 years. Meanwhile, for as long as we’ve been measuring it, charitable giving in the U.S. has remained constant at about 2% of someone’s income. And if that’s not enough noise to compete with, estimates show that $730 billion are spent annually on marketing in the United States. Which means nonprofits are outspent 384 to 1. I’m afraid this is why most nonprofits live hand-to-mouth. Many of you exist in a hamster wheel of raising just enough money to keep going. But if you took a step back, developed a strategy and invested in real transformation, you could break free from that hamster wheel of stagnation. So where do you start? We’ve got you covered. 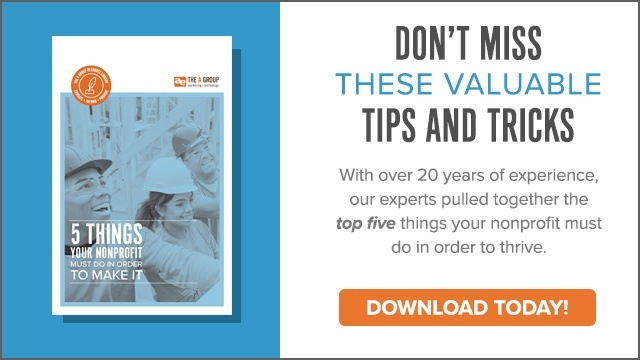 We have a FREE resource to help take you to the next level: 5 Things Your Nonprofit Must Do in Order to Make it. These five things are crucial to the success and growth of your nonprofit, and if you have the courage to tackle them, you are guaranteed to start making a bigger impact on this world. Download below!